What are the Added Benefits of a Full-Length Latch Guard? Latch guards are often used as a part of passive security to help deter forcible entry. A full-length latch guard is longer than a traditional latch guard and provides many added security benefits. Without any type of latch guard, your deadbolt or locking mechanism may be vulnerable to forcible entry. Adding a latch guard makes it harder for a criminal to break or pick the lock through the gap between the door and the frame. The main function of a latch guard is to protect the latch or deadbolt from physical manipulation. It's an important part of your passive security and overall protection for your home or business. Here are a few benefits of using a full-length latch guard. When you choose a full-length latch guard it makes it even harder for criminals to break in with force or manipulation of your lock. Often, a latch guard is enough to help deter criminals from even trying. It will become harder for anybody to use a lock pick, blunt object, pry bar or drill to get into your door when you choose a full-length latch guard. Storefronts often use these guard to keep the large gap in between the door and the jab from being exposed. With a small latch guard, it may still be possible to manipulate the lock. However, with a full-length latch guard, this becomes nearly impossible, making the door far more secure. For many criminals, if it looks too difficult to break into, they won't even bother. Using a full-length latch guard will help to deter criminal activity visually. This type of latch guard will make it look far more difficult to get into the door, which makes criminals think twice. Whether you live in a condo building, house or you run a business; a full-length latch guard can be used to help protect your entry door. In addition, they can be used for outswing or inswing doors and there are several types of latch guarded to help protect just about any type of door. One of the great benefits of a full-length latch guard is the low cost. It's a very affordable way to add an extra level of protection to any door. While these are not one-size-fits-all and it's a good idea to have a professional install your full-length latch guard, they do offer an affordable security solution. With multiple materials used to make latch guards, you can choose one that will blend into the overall look of your door. In fact, a full-length latch guard can easily compliment the other hardware on your door making it more secure and visually appealing. There are several benefits you will gain from using a full-length latch guard. Choosing the right one makes a difference. It's best to have a professional look at your door and make a recommendation for the best possible security for your entryway. You may have considered making the switch to a keyless lock and entry system for the house after seeing how easily it works in your car or a vacation rental property. We even covered it just a couple of week ago because it is a hot topic - https://www.theprolock.com/blog/2018/2/7/is-keyless-entry-really-more-secure. You don’t have to carry a key around and only your family knows the password to get in, making it really secure and simplified. It’s trending these days because it gives the owner more control over the property and it’s convenient compared to carrying around spare keys, but some worry about how easy it is to transition. Take a closer look at keyless entry and what a remote keyless system is like so that you can understand more about it before getting it for your home. If you are thinking about getting keyless locks, you may be wondering what benefits a remote keyless system would bring to your daily life. There are many benefits including better safety, how automatic it is, personal security, and even as prevention for forgetfulness. No more trying to remember to grab the keys or to wondering where you last saw them since the remote access allows you to enter without access to your keys or a spare key. If there comes a time when you are in a situation where you need to get in or leave the house quickly, you’re not longer fumbling through your bag, purse, or pockets trying to locate a key. This could be extremely beneficial in the case of an emergency or a safety situation in which someone is following you. When the kids need to go to school quickly or you are trying to get in the door with a handful of groceries, avoiding the fumble for keys can be extremely beneficial. Another benefit of this system is that you can do extra things with it, such as having your porch lights come on while trying to unlock the door, have access to your window and door locks from a computer, and hiding the system by disguising them to resemble traditional doorknobs. You’ll also be able to get as many remotes as you want. One of the tips you’ll need to remember with this system is that you’ll need to keep it secured. After your keyless entry installation, divvy up the codes for different people that you want to have access. for an office, each employee could have their own passcode, while for the home, you may want to give access to children that live outside of the home or for any hired help like a maid or nanny. These come in handy in the situation where someone no longer is welcomed in the home and the code can just be deleted for that person. Be sure not to record your code that could potentially be found, such as in your computer that gets hacked or a notecard in your purse that could get lost. If you are going to write anything down, just write down a clue to yourself to remember it later. It may be difficult to make the code long enough, but it’s smart to max out the digits to make it harder for a thief to hack. Finally, be sure to avoid making it something too personal that someone could guess it and always be changing it at least a couple of times a year. Don’t make it something obvious like your home address, zip code, or birth date, while updating it with something that you can remember when you change it every few months. Keyless entry is a highly desirable system right now for homes and even offices that want more security and a simplified system. Talk to the professionals at ProLock to get your home setup with this modern technology that will make it easier for your family to get in and out of the house every day. Did you know that not all automotive keys are made the same? It may seem surprising since every car you’ve owned seems to have had a similar key, but there are actually different types with a variety of features and all at different price points. Aside from your traditional key, you’ll find anything from master keys to smart keys and everything in between. Take a look at the ways cars were open years ago through a traditional key and how technology has brought about modern options like the smart key. The basic car key or traditional option is what you’ll find if you have an older vehicle or one that you may remember from back in the day. These are the ones that you can easily make a copy of at the hardware store and they can hook easily on your keychain. The reason that car keys have evolved from this option are many, but one reason is that they lack really any security features. If you still have a car with a traditional key, you may have had a security alarm installed or purchased an electronic key fob to help prevent theft of your car. These inexpensive keys don’t provide any encoding, can be made with any machine that cuts metal, and are outdated since better options have come out. In addition to your traditional car key, you may have been given a master key as well. These were meant to have copies made from them and to not be used for daily use since they were much more expensive than the basic key. Not only are they expensive to replace, but some old owners had to replace their engine management system if they were to lose them. Your used car purchase may come with a master key today. A key that’s been around since the mid-90s would be the transponder key, which offers a more secure option than your traditional key. These actually have microchips in the key handle so that when you start your engine, the sensor can respond to activate the transponder. These can be replaced by your locksmith if lost. If you have a rolling code key version of the transponder where the key has to send a new code each time your car is used, it would be more expensive to replace when lost. These keys were the answer to car theft in the 90s. 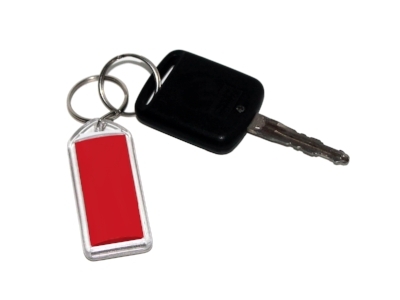 Another popular car key is the switchblade key where the base retracts from the head of the key fob. These are great for keeping your car keys smaller in your pocket since they fold back up when not in use. It folds up like a switchblade knife and can be replaced if lost. Your favorite way to open the car, the remote control car key is the device that allows you to lock and unlock your car. Hit the button you need to lock or unlock, and many come with an alarm system too. The infrared signal or radio transmitter sends a coded message to signal to the car what to do. Today, you have the newest version of locking and unlocking your car: the smart key. These were developed by Mercedes-Benz in the late 90s to offer a new, modern version to the old car key dilemma. They wanted to bring technology into the solution and give a new sense of protection to car security. It works as an electronic access and authorization for your system, meaning that it doesn’t actually require you to have a key to use. You’ll simply hold on to your smart key, keep it in your pocket, and the car will work when it can sense that the smart key is within the presence of the car. Just touch a button to unlock the car and your settings will be applied, like your favorite radio station and seating position. You don’t have to ignite the engine with a key but just with a push of a button as long as the key is within distance of the car. When you walk away, your car will likely lock itself. These are great for security since they use rolling security codes that randomize the immobilizer. If you’ve ever wondered why everyone has a different car key or what the differences are, this guide explains what the different keys do for different purposes. That’s a look at the difference between your automotive key types. Do you ever have that problem of losing your keys? Your day is going along just fine and suddenly you can’t find your keys to get in the car and head home for the day. Maybe you made it home and you can’t find the keys to your house. Perhaps your teenager misplaced your car keys or you can’t find the key to your office. Whatever the case, losing keys you use every day can give you that sinking feeling of worry, dread, and panic. Not only are you wasting time searching everything you own to find them, but you may be missing out on important obligations because you can’t get into the office, the car, or the house. Fortunately, there are some easy tricks that you can learn to ensure you don’t lose your keys anymore and the likelihood of losing them in the future will be slim to none. Try these tips to stop losing your keys. One of the main culprits behind losing your keys or anything in your life is that you are lacking organization. It’s time to get rid of clutter once and for all, allowing you to easily see where you’ve placed items without things other visual distractions along the way. Minimizing your belongings to only keep on you the things you really need allows you to more easily find missing objects since there are fewer hiding spots. Once you’ve started paring things down, you can start to make a “home” for everything you own. Now that you have less stuff, you can dedicate a place to where things go when they are not in use and this allows for you to eliminate excuses about why things are missing. As long as the keys, wallet, and phone have a spot that it’s supposed to go, it would be much harder to lose these items. When you arrive home at night, make sure to put each item you’ve brought home with you in its dedicated spot, whether it’s the key rack, the bowl on the counter, or the hook by the door. Do this for each household member so that everyone knows where things go after using them and things stop getting lost. Now that you’re organized, it’s time to use technology to your advantage. For starters, it’s much harder to lose a phone when the ringer is on and you can find it by calling the phone. Sometimes you can’t find an item when looking for it or feeling for it in a bag, but you’ll eventually hear it and see it light up. Next, use technology to help keep track of your phone even easier. You can attach a BlueTooth tracking device like Tile or download apps like “Find my Phone” to help you track the item in the event that it is lost and nowhere to be found. Just get on a desktop to locate your phone through these tech options. It’s important to remember that life gets busy and forgetting things is bound to happen. By implementing tricks like these, you’ll find it easier to keep track of your stuff and have methods in place to find them if you were to lose it again. When you dedicate a space in your home for things to live, hang a motivational sign to remind you to put things in their place, stop collecting clutter, and use technology as an aid, things can stop getting lost and life can get a little simpler. Use these tips to make sure you don’t lose your keys anymore! If you do get locked out, please call The Professional Locksmith and they'll get you in! What to do if a key breaks inside of a lock? The worst has happened. A key has broken inside of your lock! What do you do? Believe it or not, this situation is not uncommon. It can happen when you’ve turned the key too fast when you’re running late for work or you turn it funny when your hands are full of groceries. Whatever the case, you don’t need to panic in the event that your key breaks inside of a lock because that is exactly the kind of thing your local professional locksmith can help you with. Instead of trying to figure out what to do, just call a reliable locksmith in your area and they will handle it. Take a look at this guide that will go through the steps of what to do when a key breaks inside your lock. If this situation happens when you’re on your way out the door or trying to get in from being away, it will prevent you from properly locking or unlocking your door, making your home vulnerable to theft. It’s important that you call the locksmith right away to make sure you can leave your home with a secured home or lock your car instead of leaving it vulnerable to a criminal. Your broken key can damage the lock, so rather than trying to fix it yourself, you should call the locksmith to handle the situation properly. If you find that your key is sticking out of the lock, the locksmith may be able to simply pull it out with the right tools. Since you wouldn’t be likely to have the proper tools to handle a small grab as this, a locksmith will be able to handle it and ensure there is no damage to the lock, in addition to making you a new key. If the key isn’t sticking out, trying to remove it will definitely damage the lock. A locksmith will be able to efficiently and correctly remove it without damaging your lock. They will also be able to make you a new key and ensure you can be on your way. While it’s easy to call your professional locksmith to help you when your key has broken inside your car or home lock, it would be smart to know how to avoid this situation in the future. It’s helpful to maintain your keys and locks by applying some lock lubrication to your keyhole when you notice any grinding or friction locking or unlocking the doors. Your keys can simply be replaced every so often to ensure they are durable and unlikely to break. Your car locks are more susceptible during the winter season, which means that you should be extra careful to de-ice during freezing weather to avoid breaking your keys during the locking or unlocking process. Consider these tips in the event that your key breaks inside your lock. It’s never wise to try to fix it yourself as you could damage your locks and cause a very expensive job. Call your local locksmith to make sure you handle the situation efficiently from the start and take a sigh of relief that they will have the proper tools and knowledge to handle the job for you.